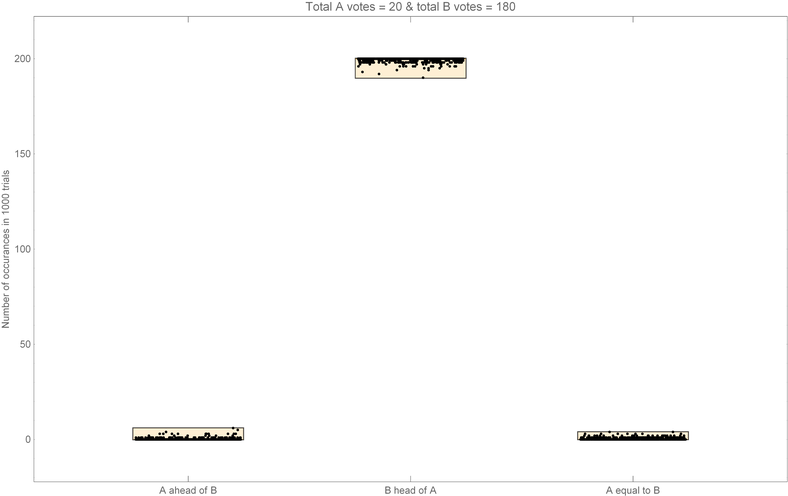 Annalytical Solution: This is a very interesting problem indeed. Prologue: I was studying this problem about the same time there was a Tug-of-War between two candidates for a re-election. 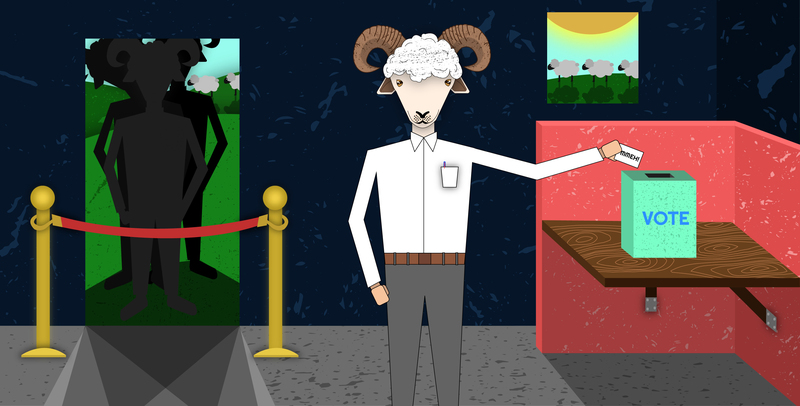 Till about the time the results were declared, the leading candidate flipped several times. The “favorite candidate of the channel” did not win at the end, but it was fun to watch the expectations change. 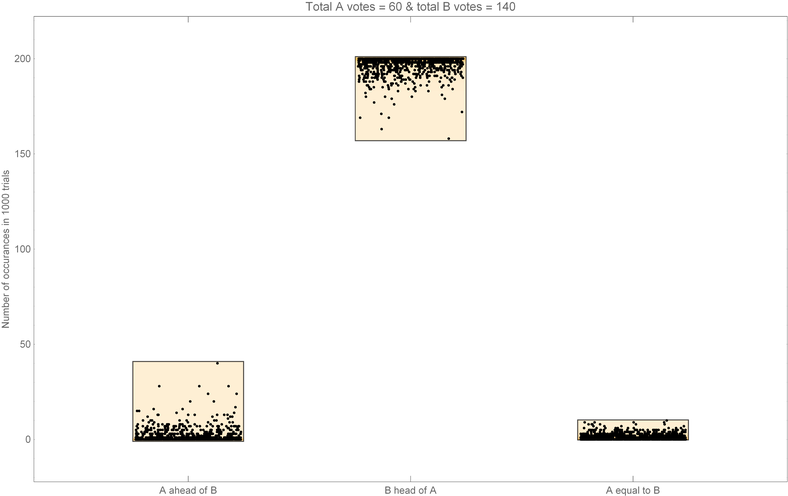 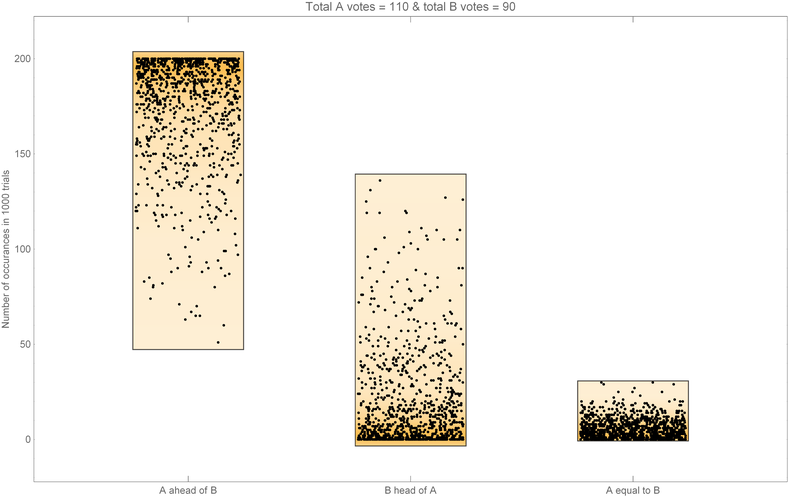 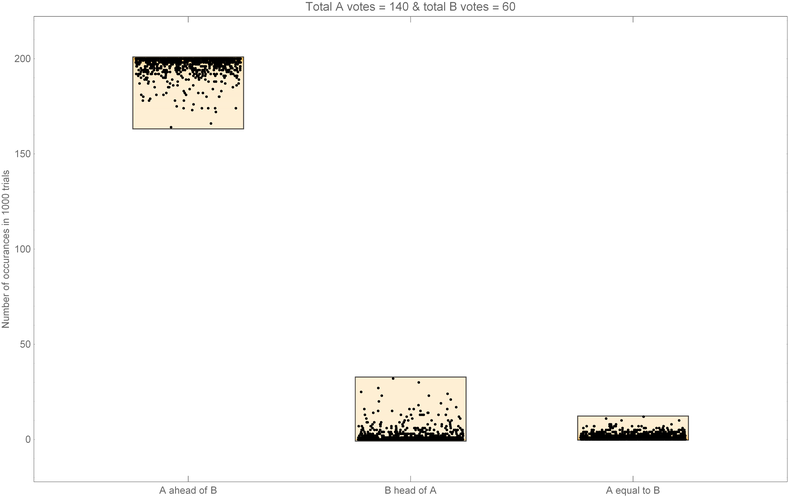 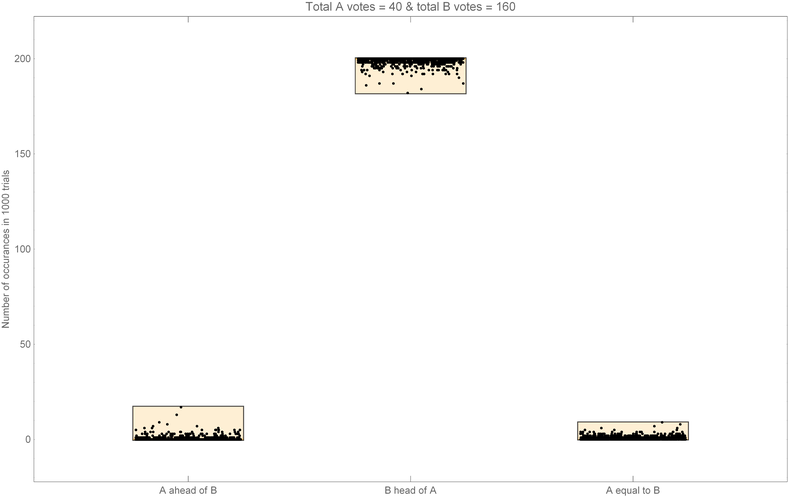 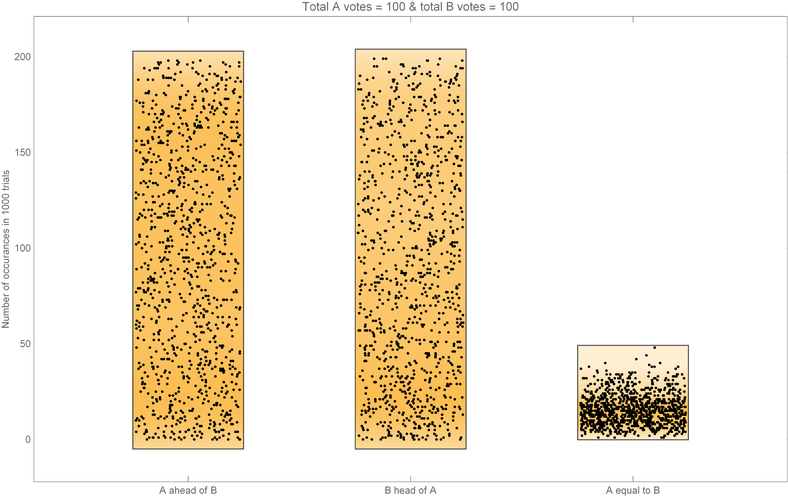 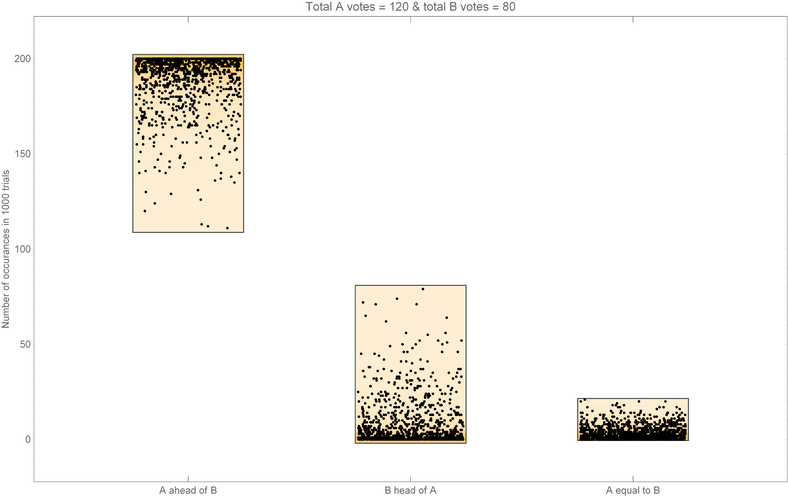 The probability can be calculated by first conditioning on who gets the last vote. 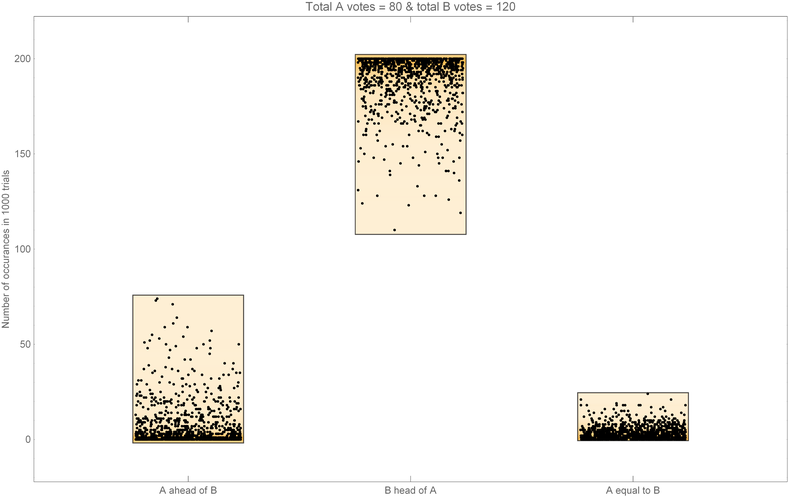 The proposition can now be proved using the induction hypothesis. In summary, the result depends on the difference on the votes divided by the total votes!! 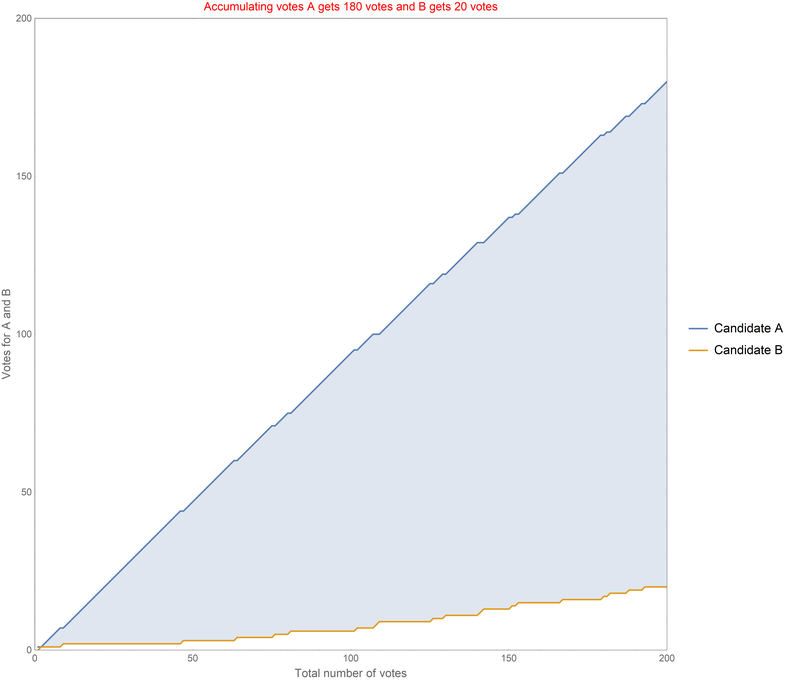 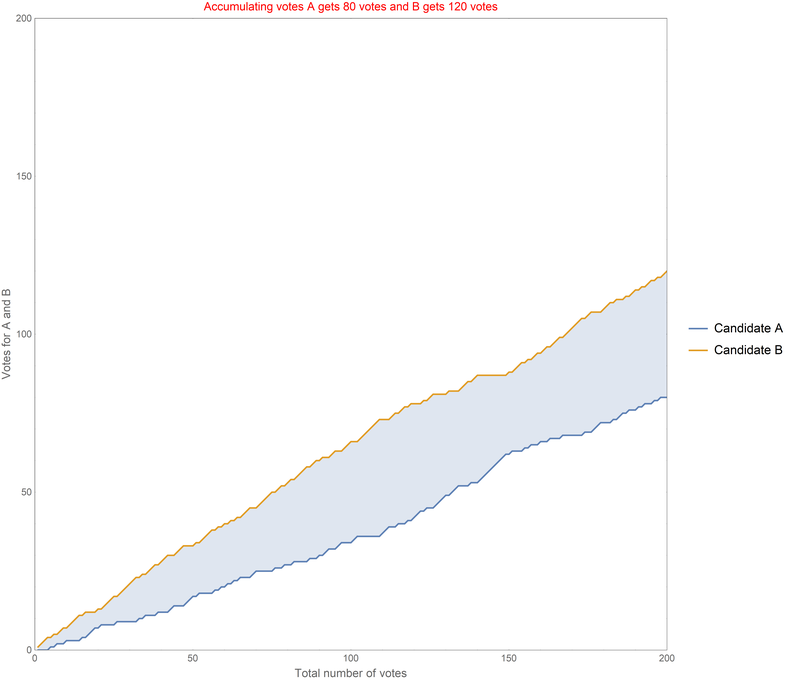 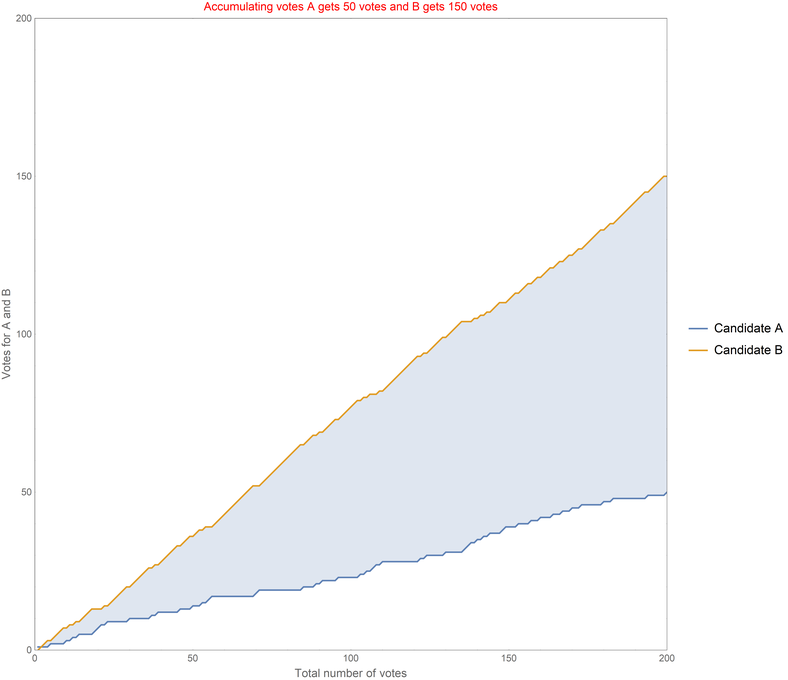 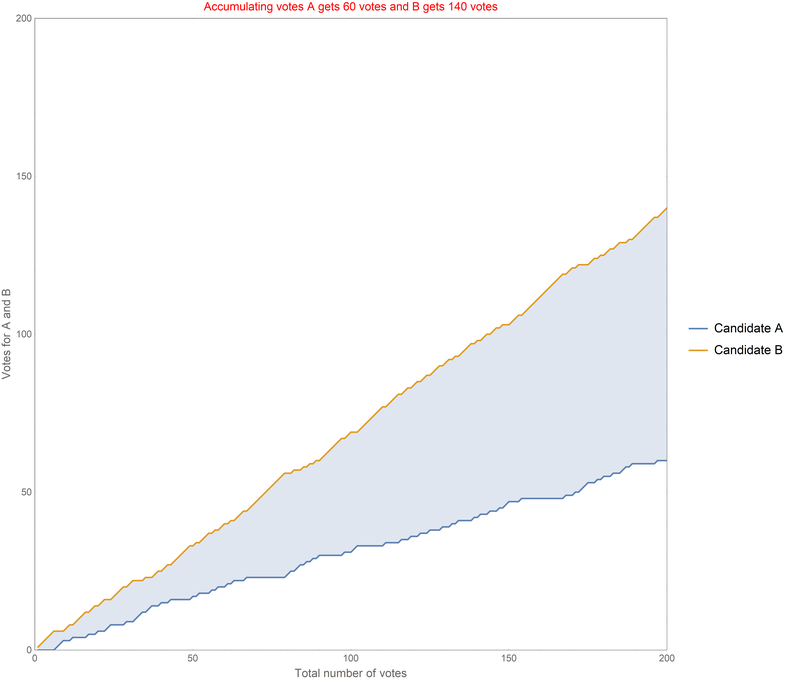 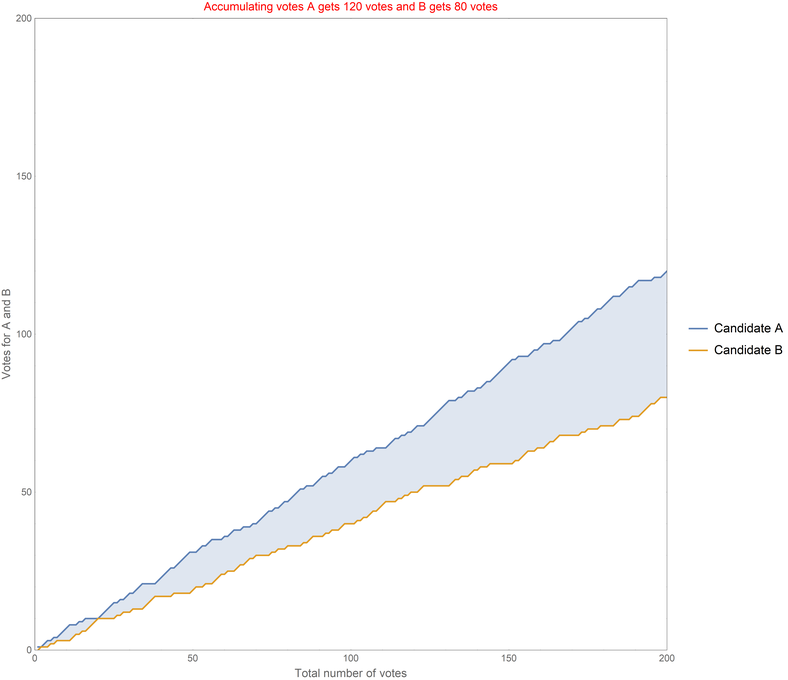 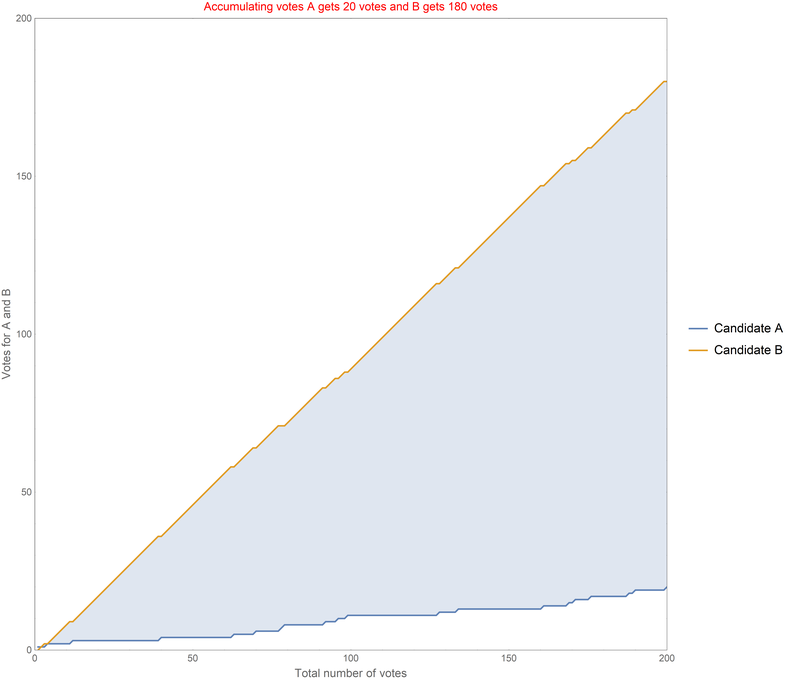 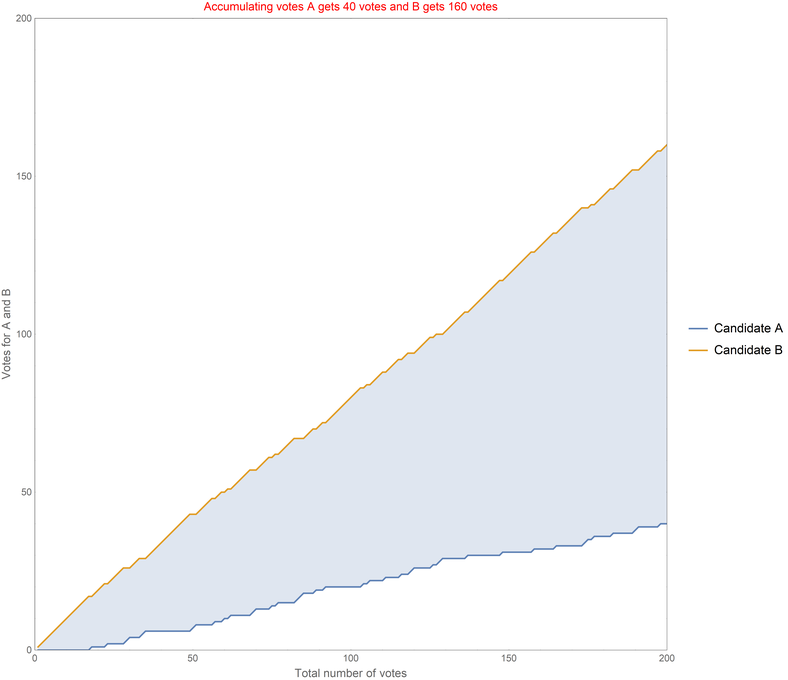 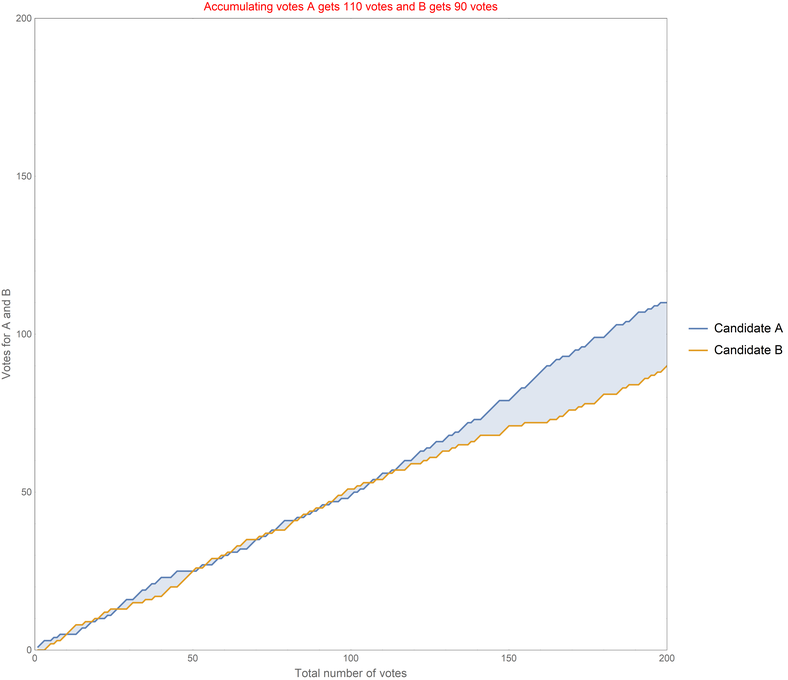 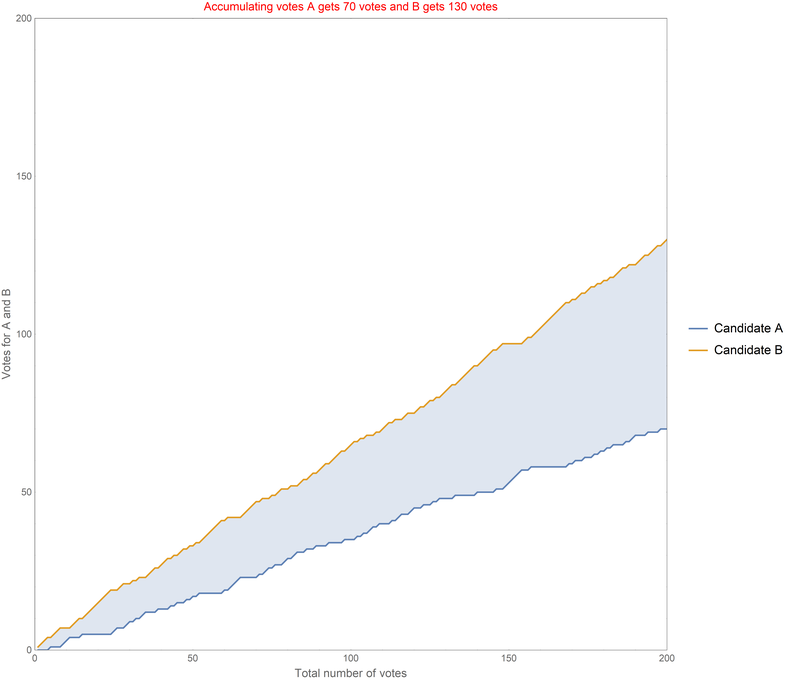 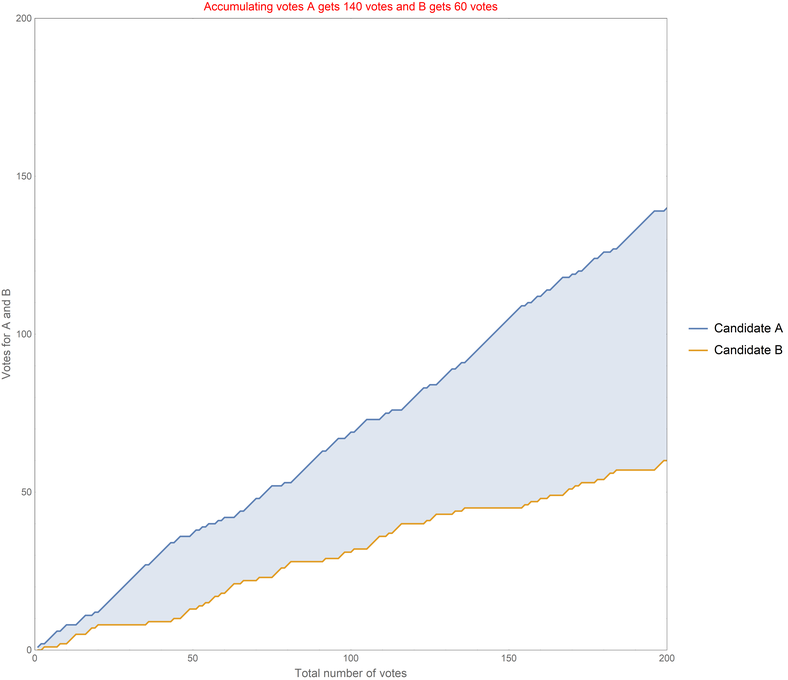 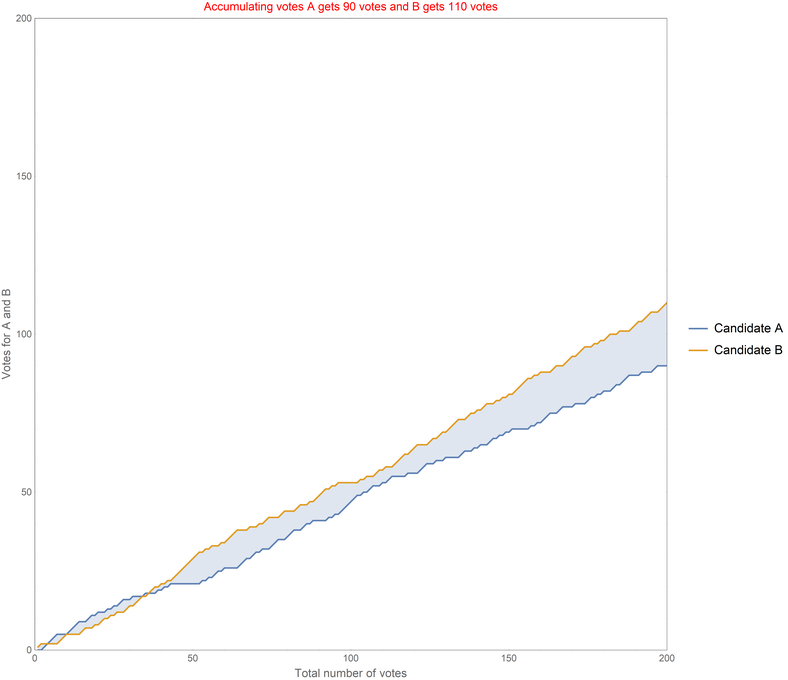 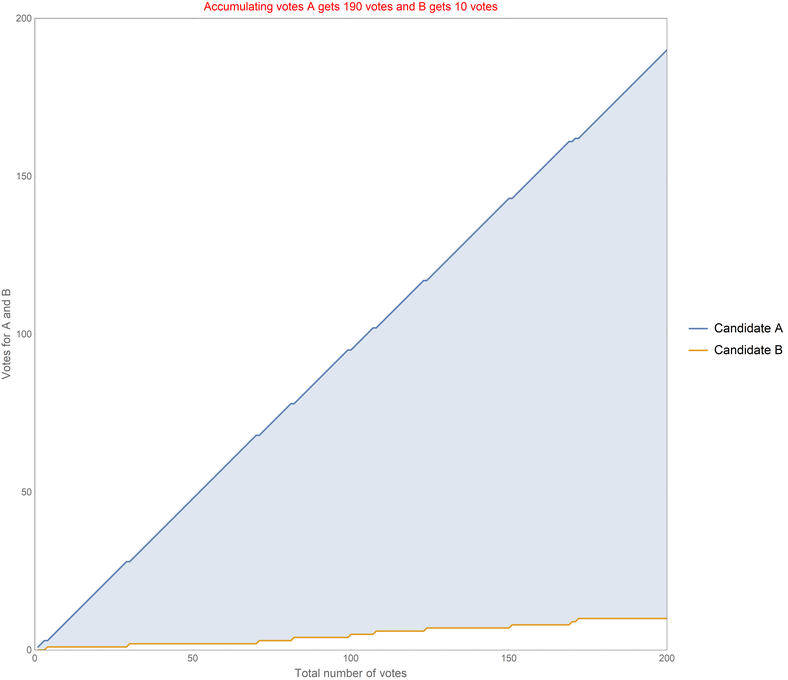 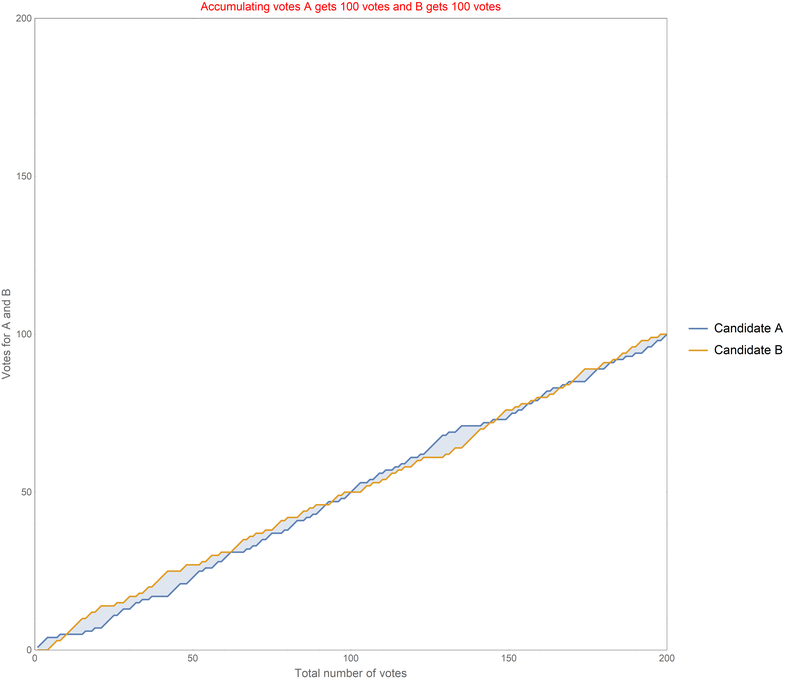 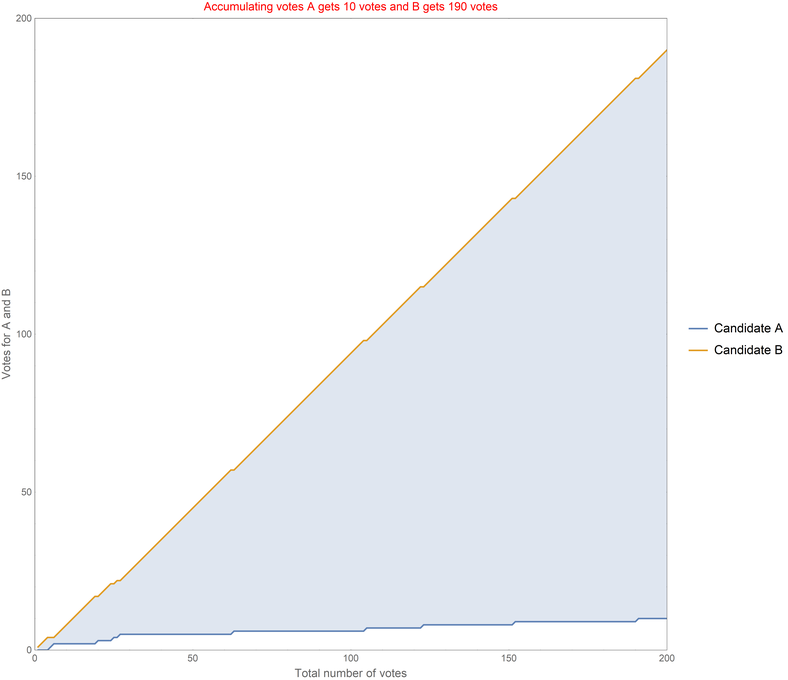 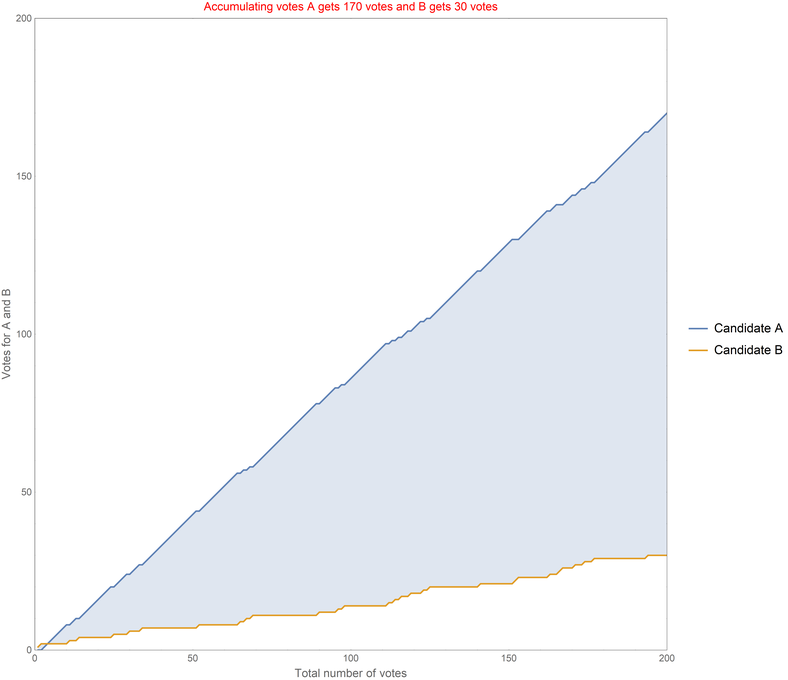 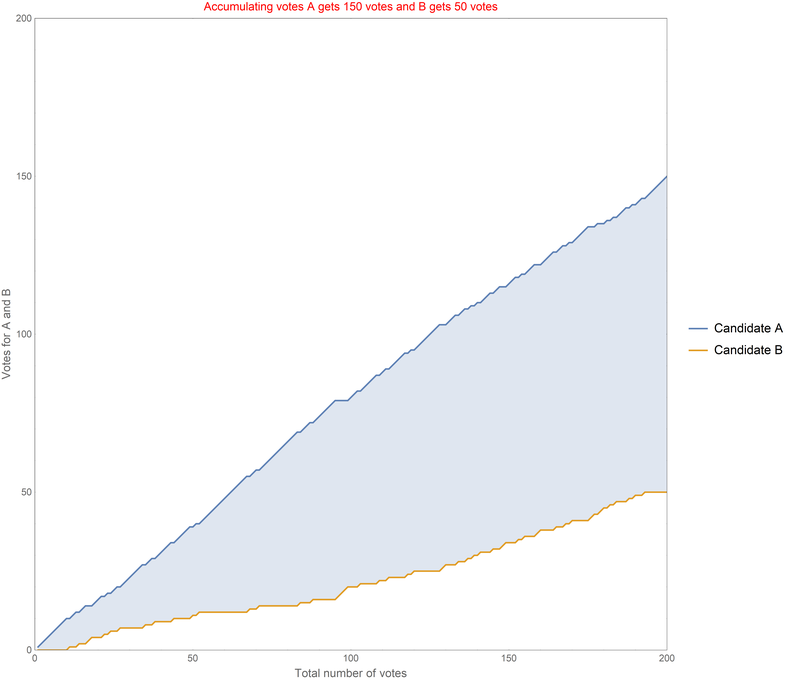 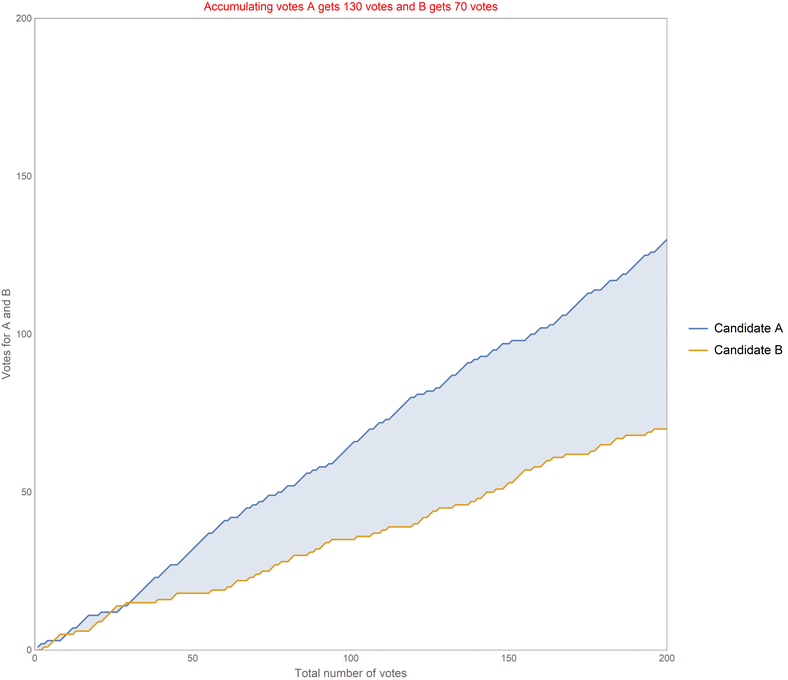 A thousand scenarios (or races): I have run the above for simulation for a 1000 times for each of the above cases and captured how many instances each of the candidate is ahead in the race. This is shown in the following images.